Hatch Marketing Group works with some of the top brands in the outdoor industry. These brands represent the pulse of the outdoor space, from iconic manufacturers to acclaimed television series. Rusted Rooster, the sister production company of Hatch Marketing Group, is the premier production studio in the outdoor industry. Shows produced by Rusted Rooster include: Project Dropped, Rival Wild, Cabela's Instinct: Expedition Series, Sheep Shape, Brothers of the Wild, WinLife and much more. Whether you’re looking for hunting, fishing or wingshooting adventure, we have a trip that fits your passion. Browse our available hunts and schedule your adventure with us! Obtaining the tags you seek doesn’t have to be a hassle. We have the easiest, most reliable and most complete service available to assist you in drawing the tag of a lifetime. SRO provides turkey and whitetail guided hunting trips on the ‘Bourbon Trail’ in Kentucky and Kansas. Archery, black powder and rifle hunts are avialable. Goose Haven Outfitters is a premier waterfowl outfitter specializing in world class goose, duck, black bear and whitetail hunting in Saskatchewan, Canada.  Safari River Outfitters is a premier Canadian outfitter specializing in black bear and whitetail hunting in Saskatchewan, Canada. Yukon Peak Outfitters is the sole-outfitter in Yukon hunting concession 11, which is located in the southwestern portion of the territory. This game rich region encompasses over 3,500 square miles of rugged mountain peaks, lush river bottoms, pristine remote lakes and hundreds of miles of fresh mountain streams. The area is known for producing, every year, some of the finest trophies in the Yukon. Redy Nutrients was born out of the idea that anyone can optimize their performance through the use of high-quality, non-proprietary supplements, clean eating, and work. There’s no sweeter experience than pushing your personal limits to the maximum. Redy believes there’s a champion inside of everyone. HuntWise is designed to help hunters improve their success in the outdoors by utilizing advanced species-tracking technology and mapping as well as connecting them with a community of dedicated sportsmen to seek and share advice. We strive to create the ultimate outdoor toolset that allows hunters to continue to pursue their passion. With decades of experience, Wildlife Gallery's award winning taxidermists bring the highest level of quality to every animal they mount. High quality synthetic and alum tanning. Industry leading customer service, and turn around time. The QC department is staffed by National and World Champion taxidermists. They know exactly what taxidermists want in a tanned hide and because they work with our leather on a daily basis, they continually raise the bar on our standard of quality.